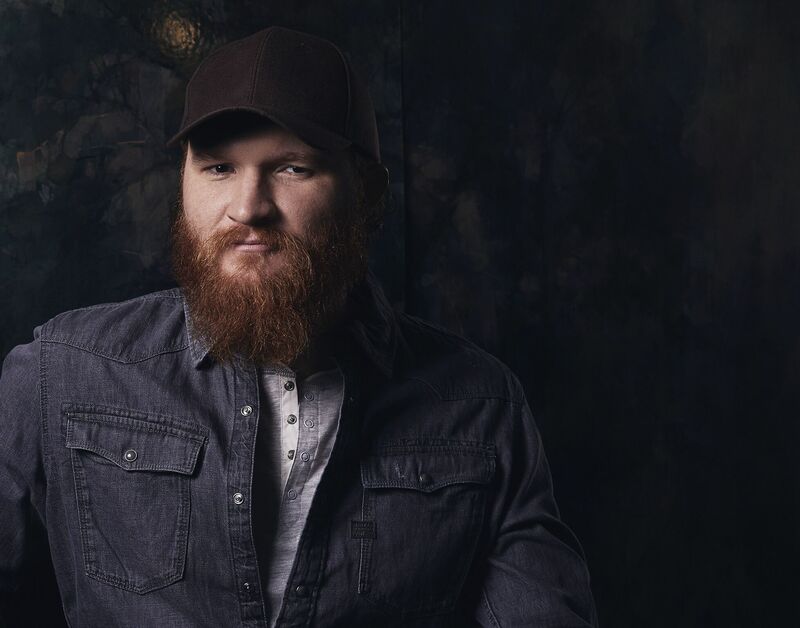 Eric Paslay was one of two support acts for the Old Dominion – Happy Endings UK tour alongside Walker Hayes. Both Paslay and Hayes are headliners in their own right, so to get all three names on one bill was pretty unbelievable. How did we get this lucky? We love Eric in the UK. He is one of us for sure; an honourary brit and a member of the Scottish Country Mafia – it is safe to say that Eric is always welcome here. It was just Eric and his guitar on this tour. An artist who works exceptionally well with both a band and solo, you certainly won’t be disappointed either way. Eric took to the stage at Bristol Trinity Centre to a full crowd. On promptly at 19.30 he addressed the crowd and introduced himself; “I am a singer/songwriter and I am going to play a song I wrote for Jake Owen which was his first number one”. The crowd cheered as he began Barefoot Blue Jean Night. Onto the next track, Eric explains how this song was HIS first number one and he played his single Friday Night from his self titled record. The energy was fun during this song and really got the crowd going. Eric sure knows how to warm up a crowd but then like I said, he is headline worthy himself. At the end of the song he says something along the lines of “Hey, you guys all know the hey’s and ho’s and were singing along. I got kind of distracted on my guitar a bit.” (Eric didn’t even do the “hey” “Ho’s” himself so shows the fans know his music well.) Eric continued to say “That’s what I love about coming over here, you know all the words, the hey’s the ho’s, everything! Every artist will say it, you guys listen and you laugh at what I am saying which is great”. Next, Eric explains how Rascal Flatts have always been kind to him and as he began the song Rewind, people around me gasped as were unaware he wrote it. The pleasantly surprised crowd sang along gleefully. That is the beauty of having a country artist play here – many of them wrote for other artists before releasing their own music so it can always be a fun surprise when they play a song you had no idea they were involved with. This is one of many good reasons why you should never miss the support act but then again always turn up in the UK don’t we? Playing the intro to another well known track and telling the crowd how he and Will Hoge wrote this song and were nominated for a Grammy with it, Eric starts singing Even If It Breaks Your Heart which was taken to number one by Eli Young Band. Eric’s vocals suit that song so well and I have always been gutted that he never recorded it himself as Will Hoge did. In an interview we had earlier in the month with Eric, he did explain he had recorded a live version of it in Glasgow and will be releasing a live album soon. It was great to hear the audience sing along to Even If It Breaks Your Heart as is such a timeless hit. You could tell that Eric he was overjoyed with the response. Eric closed his set with the stunning country ballad She Don’t Love You off of his self titled album. This track really showcased his vocal ability and was beautifully emotive. The song clearly captivated the entire audience because even the people who were previously talking at the bar suddenly stopped, turned and listened. But people didn’t just listen, they really listened just like a UK crowd is known for. It was a short twenty minute set but so worth arriving early for. Paslay needs to make the UK a regular stop with his own headline shows. Eric has built such a huge fan base over here since his first visit and has had some great moments which included supporting Eric Clapton at BST Hyde Park. Paslay is a tremendous songwriter and a highly talented singer and his on stage presence and persona is fun and engaging.